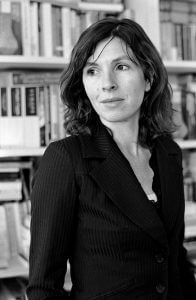 Rachel Cusk was born in Canada in 1967 and moved to the United Kingdom in 1974. She is the author of nine novels and three works of non-fiction. She has won and been shortlisted for numerous prizes: her most recent novel, Outline (2014), was shortlisted for the Folio Prize, the Goldsmiths Prize, the Baileys Prize, the Giller Prize and the Canadian Governor General’s Award. The New York Times named Outline as one of the top ten books of the year. In 2003, Rachel Cusk was named one of 20 ‘Best of Young British Novelists’ by Granta magazine. In 2015 her version of Euripides’ ‘Medea’ was put on at the Almeida Theatre with Rupert Goold directing and was shortlisted for the Susan Smith Blackburn Prize.